Within the secure gated entrance to Frenchman’s Creek lies one of the finest country club communities in all of South Florida. This world-class golf and waterfront environment of 600 home sites is nestled into 720 pristine acres, ideally situated in the exclusive Palm Beaches. 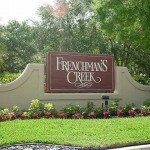 Frenchman’s Creek located in Palm Beach Gardens represents the Palm Beach area’s preferred address of distinction for those seeking a truly luxurious lifestyle complete with every possible amenity. 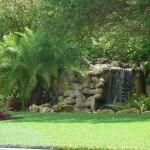 Just minutes from the fine beaches of Juno Beach, luxurious shopping at the Gardens Mall or fine dinning.